Choose to beat the crowd. Starting Tuesday, September 16, pre-orders will open for some of the new Motorola products we announced earlier this month, including Moto X for AT&T, Moto X - Pure Edition, Moto Hint and Motorola Turbo Charger. All four products will be available for pre-order on motorola.com starting at 11 a.m. CT. Shipping dates vary by product and will be provided at checkout. 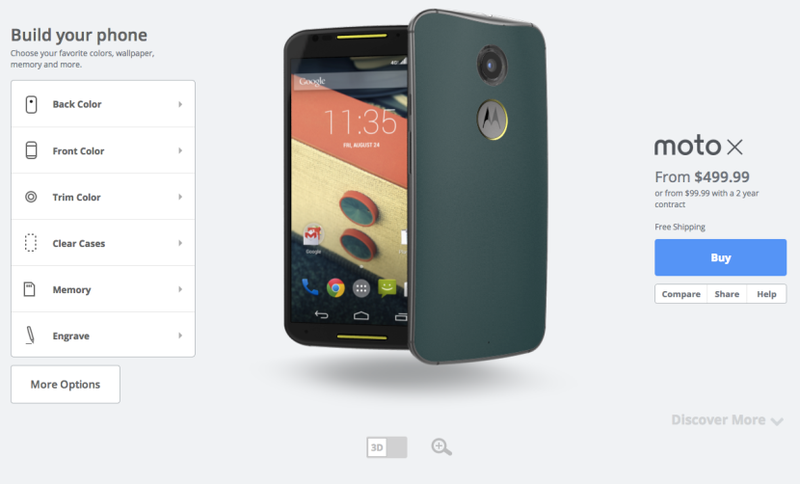 Moto X for AT&T - Order the AT&T version of the new Moto X starting on Tuesday. Moto X - Pure Edition - The off-contract Moto X is available SIM unlocked and with an unlockable bootloader for $499.99 USD. Moto Hint - Our discreet wireless earbud gives you complete control of your phone and allows you to access everything you need by just using your voice. It will be available for $149.99 USD. Plus, we have more great news... Moto 360 will be back in stock starting Tuesday in the U.S. on motorola.com. You’ll want to hurry as quantities will be limited. And don’t forget about our Trade In program, making it easier than ever to purchase a customized Moto X using Moto Maker. Just send in your old device, and we'll mail you a Motorola Visa Prepaid Card worth up to $300 depending upon the phone you send in. Visit motorolatradein.com to learn more. Again, we're so glad to be able to share this feature with our users. Tell us what you think. We look forward to keep working on making it better and better. A year ago we relaunched Motorola with a very clear purpose -- to give you more meaningful choices that put you in control of your mobile experience. Today we take that promise to the next level with the introduction of the new Moto X and Moto G smartphones, Moto 360 watch, Moto Hint wireless earbud and Motorola Power Pack Micro. This dynamic new portfolio of products gives you unprecedented power to choose how your mobile technology fits into your life, with new customization options, better value and new ways to connect. Choose the color or materials that grace the back of your phone. Choose to design your own software experience starting from pure Android. Choose to get the information you want most, either at a glance on your phone or on your wrist, or discreetly to your ear, without ever using your hands. And choose not to pay premium prices for premium experiences. 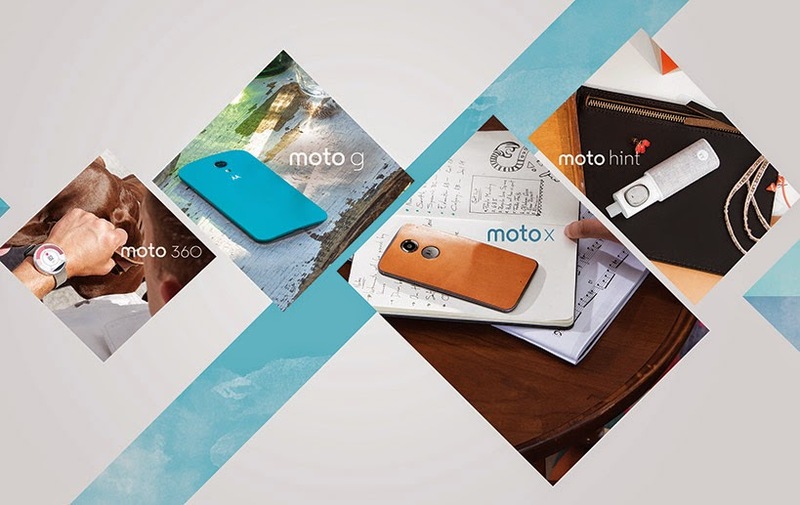 The new Moto X: Pure style. Pure performance. The new Moto X is designed with a sense of style and balance, featuring a curved metal frame, vivid 5.2” Full HD display, and authentic materials such as FSC® certified woods and genuine Horween® leather that feel great in your hand. Moto X gives you fast performance with the latest, unadulterated version of Android along with the quickest updates. Enhanced voice control lets you select a custom prompt, and use your voice to do just about anything. Plus, Moto X learns your preferences and adapts to you, making everyday interactions easier. Creating your standout style is simple through our online customization studio, Moto Maker, available in the United States and select international markets. 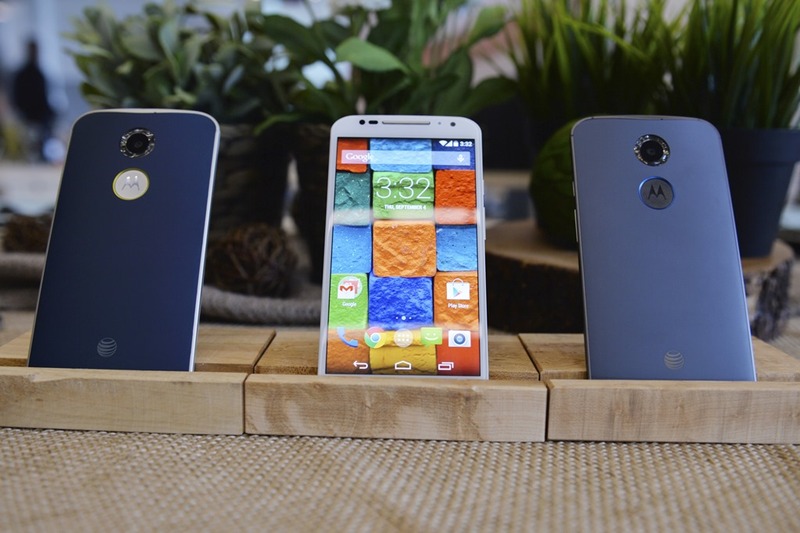 Learn more about the new Moto X. The new Moto G: Exceptional phone. Exceptional price. Moto G now comes with a brilliant 5” HD display plus stereo sound to fully enjoy your videos and photos. With its all-day battery, quad-core speed, the latest Android OS, plus the ability to customize your phone with Motorola Shells, Moto G keeps up with everything you do. And all of this starting at just $179.99. Learn more about the new Moto G.
Moto 360 is a classically-designed, modern timepiece powered by Android Wear™. Comfortable, familiar, and crafted with the finest materials, Moto 360 keeps you up to date without taking you away from the moment. Glance at your wrist to see updates or just speak to get the info you need. Keep track of your steps and know your heart rate thanks to a built-in pedometer and heart rate monitor. Enjoy battery life that lasts all day, then just place Moto 360 on its wireless charging dock at night. Learn more about Moto 360. Moto Hint is a discreet wireless earbud designed to look good and feel great. It gives you complete control of your phone and allows you to access everything you need by just using your voice. When paired with your Moto X, you can ask questions like “What’s today’s forecast?” or get turn by turn navigation directions, all without touching or even looking at your phone. Learn more about Moto Hint. Power Pack Micro: Power in a Pinch. Motorola Power Pack Micro is a portable battery that provides instant access to back-up power when you need it. Attach it to your keys or slip it into your pocket or bag. More than just a portable battery, Power Pack Micro also includes Motorola Keylink™, a phone and key finder which helps locate your phone or keys when they’ve been misplaced. Learn more about Power Pack Micro. The new Moto G is available starting today unlocked and off-contract for $179.99 USD on motorola.com, as well as retailers in the US. Moto G also goes on sale today in India, France, UK, Brazil, Spain, and on motorola.de in Germany. By end of year, the new Moto G will be available in more than a dozen countries and through several carrier partners around the world. Power Pack Micro will be available on motorola.com in the US for $39.99 starting today. Our Trade In program makes it easier than ever to purchase a Moto G or customized Moto X using Moto Maker. Just send in your old device, and we'll mail you a Motorola Visa Prepaid Card worth up to $300 depending upon the phone you send in. Visit our Trade In site to learn more.